MJC²'s transport planning and logistics management software provides strategic, operational and real-time planning functionality for large, complex transport and distribution networks. Our transport planning software optimizes vehicle routes and driver schedules on a real-time or forward planning basis. Schedules for the next day or week (or longer period) can be optimized using DISC, assigning daily forecast or actual orders to drivers and vehicles to maximise resource utilisation and balance driver workloads. MJC²'s truck planning software can be used for delivery (or collection) planning, optimizing operations such as multi-drops, multi-collects, backhauls, trunking movements, etc. Our driver and haulier planning software includes distribution planning tools that take into account all required operational constraints, including time windows, vehicle capacity, truck scheduling constraints and other configurable rules. REACT can schedule and re-schedule vehicle movements in real-time, receiving information such as GPS location and transport order status to automatically update the transport schedule and re-issue it to drivers and managers, continuously optimizing the operation as the day evolves. Our trucking software includes powerful vehicle routing algorithms which can model access constraints, low emission zones, load building rules, trailer compatibility, driver hours, WTD, warehouse assembly capacity, availability of docks, loading/unloading rates, rush hour, congestion, toll roads and other cost/efficiency parameters. 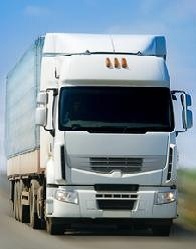 Our vehicle scheduling and driver planning systems provide job allocation, shift planning and rostering functionality. ROCS is a powerful rostering and employee scheduling toolset which programs and optimizes driver work schedules based on expected or actual demands. Factors such as required skills/seniority, working time directive constraints, shift patterns, union agreements, industry standards, employee holiday entitlement, overtime rules and annualised hours are included in the optimization process. Real-time communication between the driver and the central planning office is enabled by MOBi, which allows updates such as completed work or schedule changes to be transferred automatically. MOBI integrates with REACT to allow automated dispatch of the transport operation. REACT re-optimizes the logistics plan based on the latest updates received, and transmits the new schedule to the driver via MOBi. SLIM can model and optimize extended logistics operations and haulage distribution networks. Typical applications of our strategic transport planning software include freight logistics optimization, transport systems planning, supply chain optimization, distribution network planning, intermodal transport optimization and timetable creation. i-Data enables analysis of historical data to facilitate forward planning and strategic optimization of transport and business logistics networks. i-Data can be used for applications such as forecasting driver or vehicle requirements, warehouse employee numbers, scheduling shift start times, planning transport volumes or analysing MIS data.